• Butterfly Boucher’s sparkling new single ‘The Weather’ is one of a swag of new single to be serviced to Australian media this week. 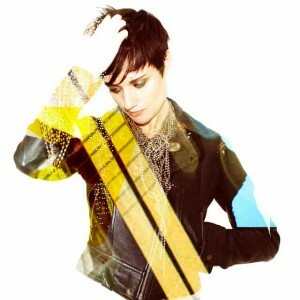 She dropped the last single ‘5678’ back in April, just days out from the release of her new self-titled album. • Also out at media this week are remixes of Katy Perry’s latest single ‘Wide Awake’, Nicki Minaj’s ‘Pound The Alarm’, Scissor Sisters’ ‘Baby Come Home’ and the aforementioned Gurrumul and Sarah Blasko collaboration ‘Bayini’. For a more comprehensive list of the week’s new releases to radio, ‘Like’ us over at FACEBOOK, where we post usually on a Wednesday or Thursday. • Word on the street is that our West Australian readers won’t have to wait too long to get their mitts on tickets for George Michael’s upcoming ‘Symphonica’ show at Perth Arena. 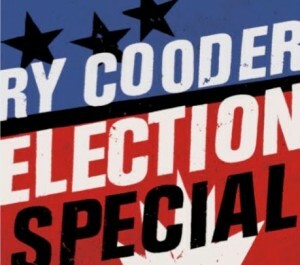 • US singer songwriter Ry Cooder will release his brand new album ‘Election Special’ in the middle of August. 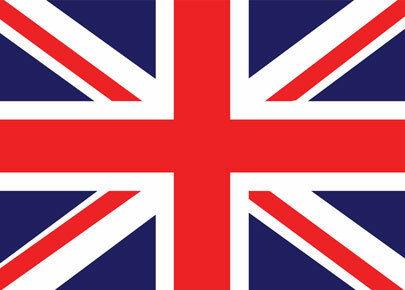 The new LP has been described as a political “wake-up call” as America heads towards the country’s elections in November this year. 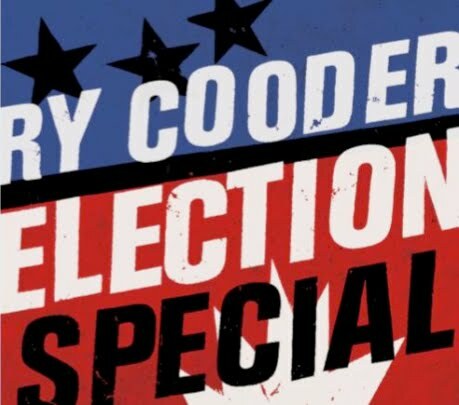 Each of the nine tracks on the new album follows a political theme and includes titles like ‘Mitt Romney Blues’ and ‘The Wall Street Part Of Town’. It’s due to be released in Australia via Warner Music on Friday August 17. • Stop Start Records this week announced the signing of Brisbane four piece Millions. The band’s new EP ‘Nine Lives, Six Degrees’ is due for release on Friday June 22 and the band will celebrate by hitting the road for live dates, kicking off at the Alhambra Lounge in their home town on Friday July 06. More details on their FACEBOOK page. • Songstress Emma Louise has sold out her upcoming show at Melbourne’s Northcote Social Club. So what’s a girl to do? Add another show at Melbourne’s Northcote Social Club, of course! Fans can catch the singer in the new show on Thursday June 28 and tickets are on sale now. • They teased us with the official dates at the end of last month, but Parklife organisers have gone one better and told us to keep our ear to the ground on Tuesday June 19 for the official reveal of this year’s festival line-up. Tom and Alex on the Triple J breakfast show will announce the headliners from 8am. • UK DJ Russ Chimes is heading to Australia for his first ever club tour. He’ll touch down at Brisbane’s Oh Hello! on July 06, before venturing to Melbourne’s Pretty Please on July 07, Adelaide’s Electric Circus on July 13 and Sydney’s Soho Bar on July 14. Tickets are on sale now. • Rudimental’s single ‘Feel The Love’ has premiered in the No.1 position on the UK singles chart this week, relegating last week’s No.1 (Fun.’s ‘We Are Young’) to the No.2 spot. Following on from her big win at Eurovision, Sweden’s Loreen bullets into the No.3 position with ‘Euphoria’, while new UK boyband Lawson debuts in the No.4 spot with their debut single ‘When She Was Mine’. Gary Barlow and the Commonwealth Band’s ‘Sing’ debuts just outside the top ten at No.11 ahead of the Jubilee celebrations, but is widely tipped to hit No.1 on this Monday’s chart. • On the UK albums chart is where Gary’s ‘Sing’ EP is doing the business – debuting on top of the charts this week to hold off hotly tipped new releases from Paloma Faith (No.2) and Rumer (No.3). It’s a full five of debuts too, with Scissor Sisters’ new album ‘Magic Hour’ debuting at No.4 and Russell Watson’s ‘Anthems’ coming in at No.5. Sigur Ros’ ‘Valtari’ makes it six top ten debuts for the week, appearing in the No.8 spot. • It’s an extraordinary eighth week atop the US singles chart for Gotye and Kimbra this week, as ‘Somebody That I Used To Know’ continues to find love at American radio. The entire top five remains stagnant, with One Direction’s ‘What Makes You Beautiful’ edging a little higher to No.6 and Rihanna’s ‘Where Have You Been’ making its first appearance in the top ten (No.9). • And John Mayer holds for a second week on top of the Billboard albums chart. His latest long player ‘Born And Raised’ sold a further 65,000 copies in its second week. Adele holds on at No.2, with Regina Spektor’s new album ‘What We Saw From The Cheap Seats’ premiering at No.3. Edward Sharpe and The Magnetic Zeros are in top ten action at No.5, with Sigur Ros’ ‘Valtari’ joining the trio of top ten debuts in the No.7 spot.